We have returned from the eleventh summer study abroad program that I have run with Jovi Cruces, Senior Associate at Dimella Shaffer Associates. Ten BAC students attended the program: Gregory Lent, Ian Hester, Lucca Townsend, Joe Porter, Julie Shapiro, Adrian Michael, Zachary Millay, Stan Poreda, Kirsten Soderlund, and Julianne Reno. This was our first program based in Rome, a place that inspired us all to think more deeply about history. We relied on Colin Rowe's idea of bricolage, the construction of a work from a diverse range of things that happen to be available, to better understand Rome. Indeed, to a newcomer, Rome's historical center can feel like a monstrous tag sale of buildings and building fragments from across time, dropped in a maze-like array alongside the Tiber, without respect to chronological order or the consistency of the street face/sidewalk. Rome required us to learn new ways of reading a city, and the benefit for our effort was rich. 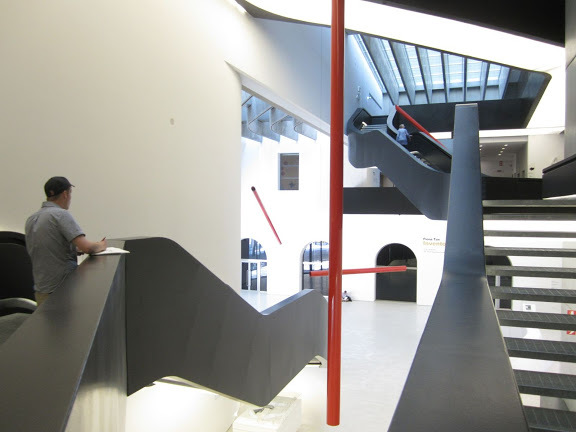 Our eye for contemporary works led us to Zaha Hadid's MAXXI and Odile Decq's MACRO museums. 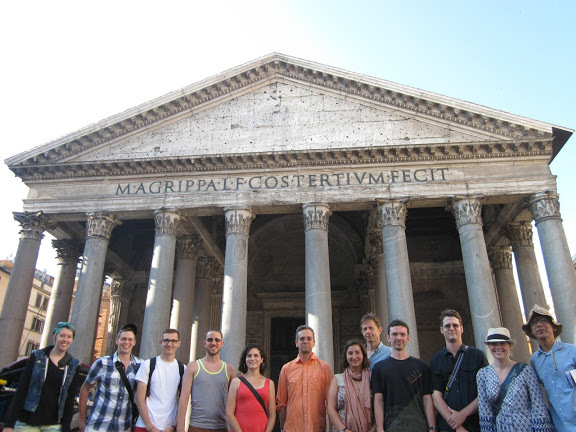 We also shared a deep appreciation for the Pantheon, the Coliseum, and the Forum and were inspired by their timelessness. At the mid-point of the program, we took a five-day excursion to Florence, Venice and Milan. We climbed Brunelleschi's dome, we crossed the Arno in the Vasari Corridor and then found ourselves deposited in the Boboli Gardens. We went to the Venice Biennale and got lost in the city with our 24-hour vaporetto pass: the busses in Venice are boats. We explored Milan's Duomo inside and out, and we enjoyed complimentary prosecco served by fashion models at Prada's centennial celebration in the Galleria Vittorio Emanuele II. The real surprise for us was when the train pulled into Rome's Termini station, we felt we had come home. And now we are back home in Boston. If you like, you can virtually get exhausted, looking though our unabridged photo documentation of the program. We kept serious sketchbooks, so watch for an exhibit on campus later in the semester.